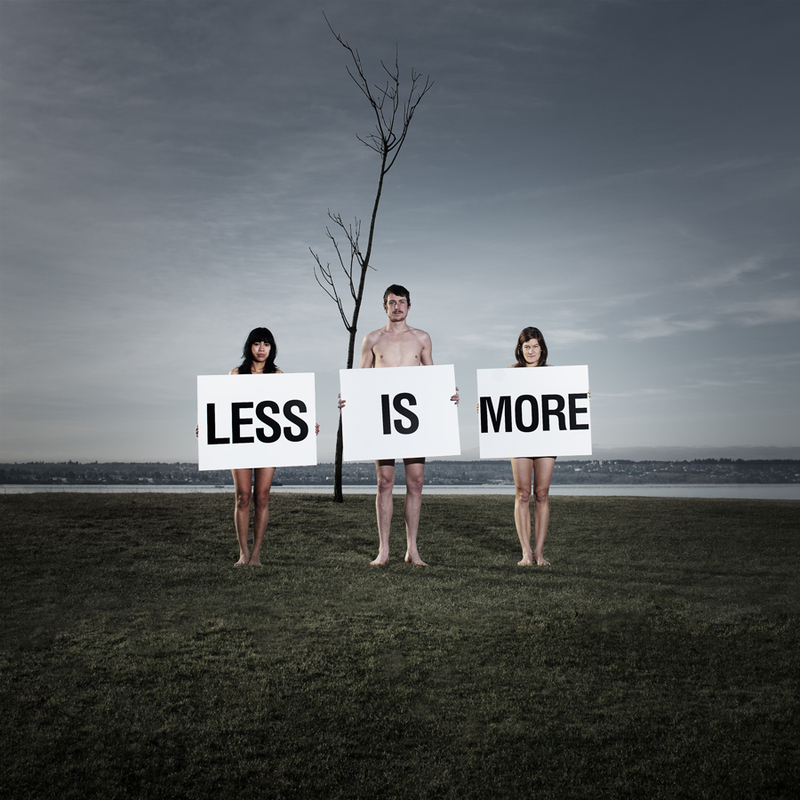 Less Is More | THE GOOD . . . THE BAD . . . AND ME. Here are some of my inserts to the adage. Less clutter . . . more space. Less money . . . more problems. Less income . . . more bills. Less chitchat . . . more time to be creative. Less trash . . . more beauty. Less friends . . . more time alone. Less clothes . . . more skin to show. Less shopping . . . more savings in the bank. Less cravings . . . more pounds to shed. Less irritation . . . more peace of mind. Less restrictions . . . more freedom. Less insecurities . . . more confidence. Less bullsh*t . . . more sense. The possibilities are endless. But there is one ultimate take on the adage that I would love to happen to me every minute of every day. Less worries . . . more happiness. Now . . . that is a lifetime pursuit.